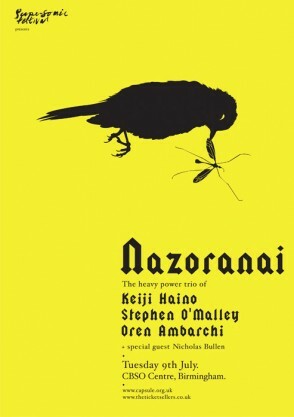 “From the darkest reaches of space comes Nazoranai, featuring Japanese underground legend Keiji Haino, Stephen O’Malley of avant-metal overlords Sunn 0))) and Australian experimentalist Oren Ambarchi. On their 2012 debut, Haino’s bleakly beautiful guitar and diabolical vocals slice through the creeping mass of O’Malley’s bass and Ambarchi’s minimalist drums; what they have in store for Glasgow, however, is anyone’s guess. 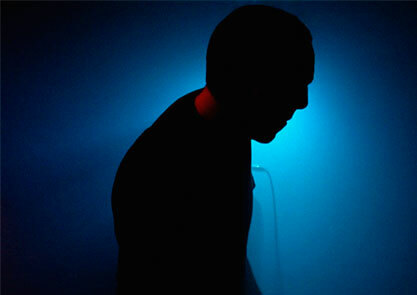 A prolific collaborator, Oren has worked with Jim O’Rourke, Fire!, Fennesz, Robin Fox and many more, but don’t overlook his solo work!